Most companies are familiar with the U.S. Foreign Corrupt Practices Act (FCPA). The FCPA prohibits bribery of non-U.S. government officials by U.S. companies and persons, issuers on U.S. stock exchanges, or people physically present in the United States, in order to obtain or retain business. Many elements of the offence have been interpreted broadly by the courts, so, for example, a bribe to obtain an unfair advantage by circumventing government licensing or customs procedures are violations of the statute. Similarly, bribes paid to employees of state-owned entities are violations. As many companies are also aware, enforcement of the law over the past decade has increased, generating large monetary penalties and jail time for corporate officers, investors, and their agents. As has been increasingly reported in the press, the investigation of alleged violations can involve wide-ranging investigations and substantial legal fees even before any penalties are imposed. The single most important point is that a company must understand its own anti-corruption risks and take reasonable measures to address those risks. 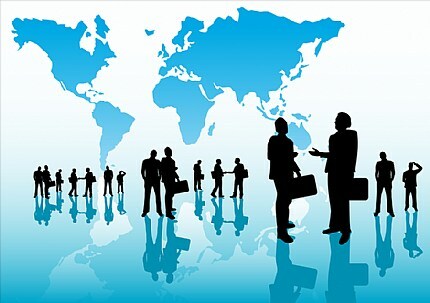 A good anti-corruption program should reflect a thoughtful review and analysis of a company’s business activities, including: (1) where it does business; (2) how it engages third parties acting on its behalf; (3) how it will treat hospitality, gifts and entertainment; and (4) how to self-evaluate compliance. A company expanding abroad should also understand what other anti-bribery laws apply to it. Some, like the U.K. Bribery Act have powerful long-arm jurisdiction provisions. Some, like the Hong Kong Prevention of Bribery Ordinance, prohibit commercial bribery as well as bribes of government officials. Countries like Brazil have recently developed new anti-bribery laws, so it is critical that companies keep track of developments in countries where they operate. These laws can be complex, especially where they intersect with one another (as they often do in international business). Companies that understand the law and plan ahead for compliance in concert with foreign expansion will position themselves for long-term success, without the business disruptions and loss of confidence that can arise from U.S. government investigations or enforcement.